The weather’s starting to cool, making big largemouth bass hungry and making it much more comfortable for anglers to spend the day tossing lures on our freshwater lakes, ponds and rivers. 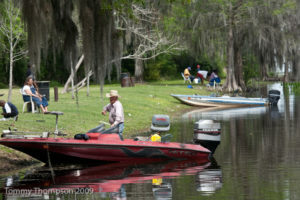 If you’re interested in fishing local lakes, you can’t get much better action than at Newnans Lake in east Gainesville. 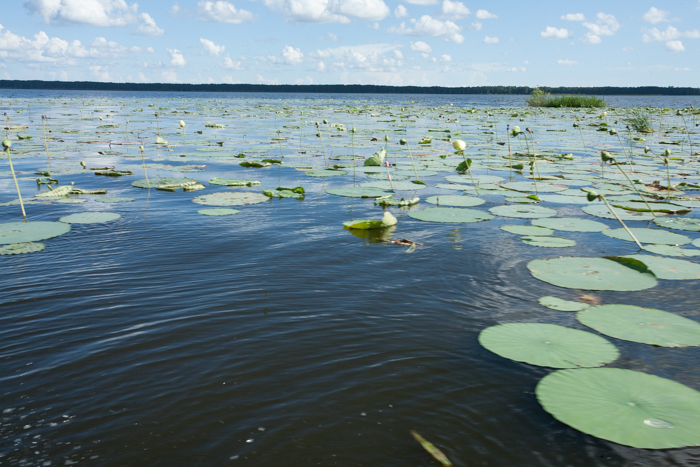 There’s a good boat ramp just off SR20 at Earl Powers Park and most seasoned veterans of the lake will send you across the lake to the north shore and the abundant lily pads. Other lake options in our region are Lake Rousseau in Levy County or the joined Lochloosa/Orange lakes on either side of Cross Creek, in southern Alachua County. 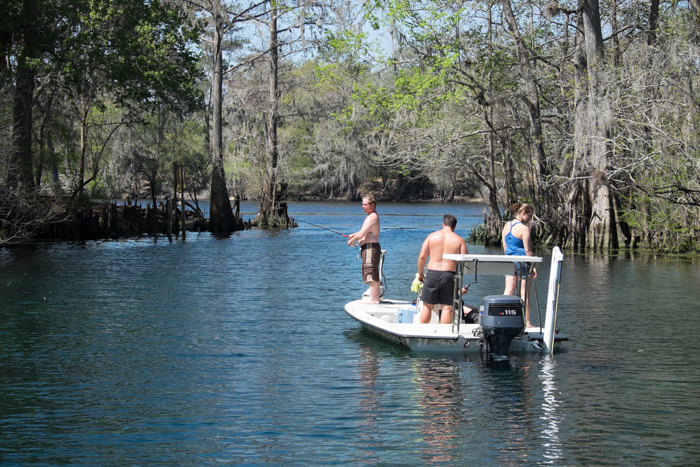 If you prefer to fish our rivers, you first venture should be to the Suwannee River. 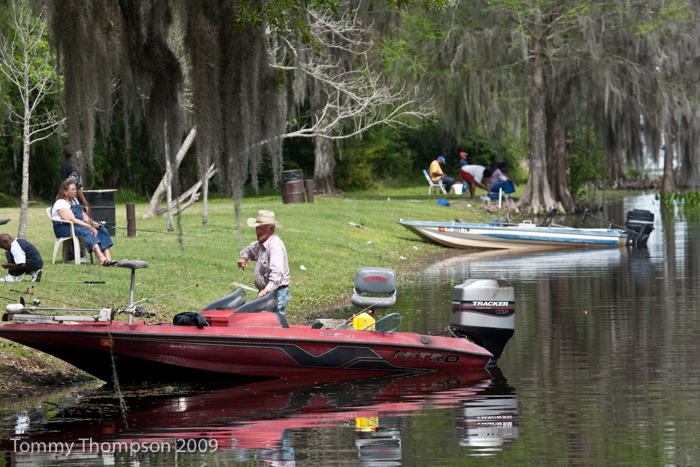 The bass action begins not far from the mouth of the river at East Pass, near the Town of Suwannee. And it continues, with your chance of catching one of the Suwannee Bass species, all the way to the Georgia Line, almost 200 miles north! With bass beginning to feel on onset of cooler weather, they’ll eat just about any lure. Many anglers enjoy tossing topwater lures in the early mornings or late afternoons, changing to spinner or buzz baits when the sun is higher. Of course, live bait will work, especially if you can find some wild shiners. And then, there are soft plastic lures, which probably account for most of the bass caught in the state. Senkos, D.O.A. CAL baits and Bass Assassin plastics are all good choices. Of recent interest is the D.O.A. Sna-Koil snake look-alike that’s proven well over the summer. If you’re looking for solid advice about bass fishing, give pro-angler Gary Simpson a call at his shop (Gary’s Tackle Box, 352-372-1791) in Gainesville. He’ll point you in the right direction!